Rep. Alexandria Ocasio-Cortez’s “Green New Deal” has Republicans optimistic about the 2020 elections. Republicans labeled the plan a “socialist” and referred to President Donald Trump’s State of the Union remarks. “[I]t’s like Christmas and Hanukkah and every other holiday has arrived,” one reporter said of the GOP’s optimism. New York Rep. Alexandria Ocasio-Cortez’s “Green New Deal” is meant to be a litmus test for 2020 candidates, but it may turn into a boon for Republicans. The Green New Deal, which calls for an unprecedented expansion of government power to fight global warming, allows Republicans to wage war against “socialism” that’s backed by Democratic presidential contenders. “Every Republican in the country should get on their hands and knees and thank Alexandria Ocasio-Cortez,” Andy Surabian, a former White House official, told Axios. “The Democrats seem oblivious to its power. And the GOP needn’t lift a finger for it to work,” Strassel wrote in a Thursday night column. Axios reporter Jonathan Swan told Fox News Thursday that “it’s like Christmas and Hanukkah and every other holiday has arrived” for President Donald Trump’s team. Ocasio-Cortez also bungled the Green New Deal’s rollout, including calls to eliminate “farty cows,” air travel and hand out welfare to those “unwilling to work,” which fueled Republican criticisms of the proposal. 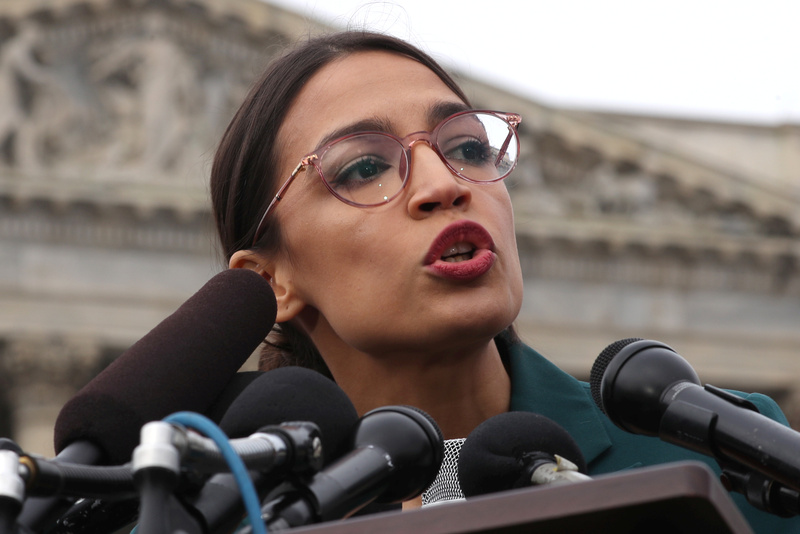 “Democrat socialists made clear today that they want to use climate change as a means to abolish capitalism and implement massive taxation, expropriation and government control,” Arizona GOP Rep. Paul Gosar said of the Green New Deal. “I hope I wake up out of this twilight zone,” Bishop said. 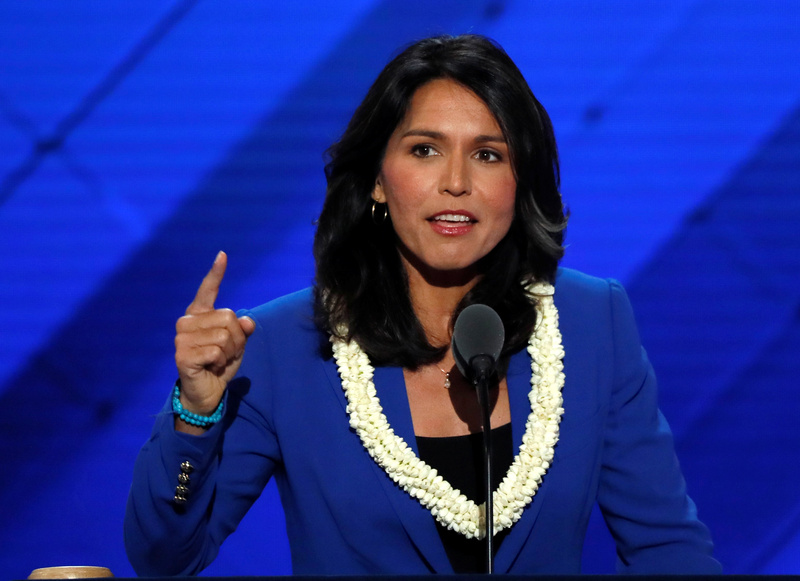 Ocasio-Cortez released her highly anticipated Green New Deal resolution Thursday with more than 60 cosponsors, including presidential candidate Hawaii Democratic Rep. Tulsi Gabbard. A Senate companion bill is cosponsored by 2020 Democratic presidential hopefuls, including Sens. Cory Booker of New Jersey and Kamala Harris of California. Ocasio-Cortez, a self-described democratic socialist, is seen as a rising star in the Democratic Party. However, Democrats are far from united on this. House Speaker Nancy Pelosi dismissed the Green New Deal as a mere “suggestion,” not a centerpiece of her party’s agenda. Ocasio-Cortez embraced Pelosi’s “green dream” comment. “I echo President Trump’s statement from the State of the Union Address: ‘America will never be a socialist country,'” Arizona GOP Rep. Andy Biggs said in a statement addressed to Democrats. Trump condemned socialism in his Tuesday night speech to thunderous applause from Republicans. Most Americans seem to back that sentiment — a CBS poll found 76 percent of Americans who watched the speech approved of it.